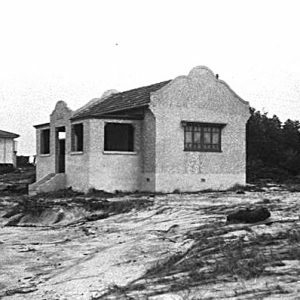 By 1925 there were approximately twenty seaside homes on the Palm Beach Estate. 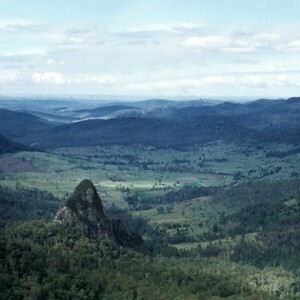 In 1873, Henry Jordan, a Queensland parliamentarian and sugar planter living in the Logan area, selected much of the coastal land between Tallebudgera and Currumbin Creeks. 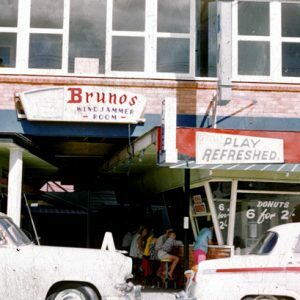 Gradually, Jordan added to his block until the property encompassed what became known as the suburbs of Palm Beach, Elanora, and Currumbin Waters. 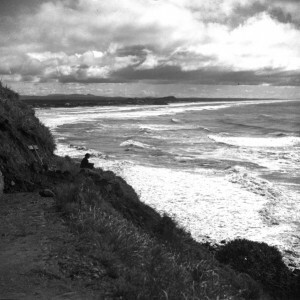 During the 1880s, William Wood, a retired railway worker and early land speculator, acquired 400 acres of Jordan’s coastal block. It appears that Mr Wood leased portions of his land during his time as an owner and during World War One, a tenant, Mr John Crimp, occupied a homestead and grazed cattle on the property. Wood had numerous properties in South East Queensland and, despite having a connection with the coastal property for sixty years, appears to have chosen to live at Palm Beach, known as Beechwood Estate, only towards the end of his life in 1948. 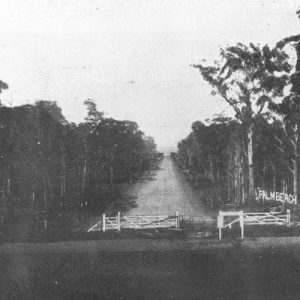 During the early 1900s, improvements in roads allowed an increasing number of people to travel to the southern part of the Gold Coast and, by 1903, the railway line linking Brisbane to Coolangatta was completed and included stops for Elanora and Palm Beach. Around 1921, William Wood’s property south of Tallebudgera Creek was purchased by the Palm Beach Company Ltd. The first housing allotments were subdivided from Cypress Avenue to the foreshore. In December of 1922 land sales for the Palm Beach Estate began with 120 allotments being sold in less than three hours. One of the first families to build a home on the estate at 4th Avenue was the surveyor and development manager, Percy Ballard and his wife, Annie. By 1925 there were approximately twenty seaside homes on the Palm Beach Estate and potential investors and holiday makers were encouraged to stay at the company owned Palm Beach Guesthouse or enjoy lunch at the tea rooms which had also been built by the company. In 1926 road bridges were constructed over the Tallebudgera and Currumbin Creeks. 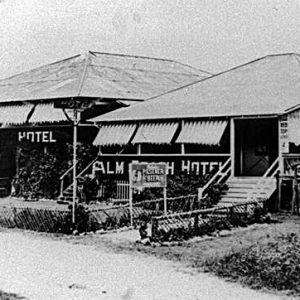 During the same year the Palm Beach Hotel was erected to provide a convenient stopping place for passing traffic. Word spread and many families from Brisbane, Ipswich, the Darling Downs and western districts of Queensland built their timber or fibro beach house or camped along the long sweep of beach. Longhurst, Robert. 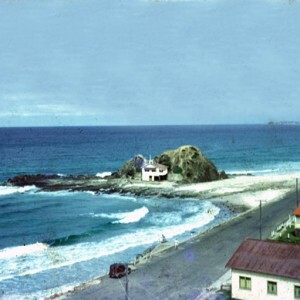 History of Palm Beach, Elanora and surrounding areas of Tallebudgera. Gold Coast: Gold Coast City Council, 2007. Longhurst, Robert. 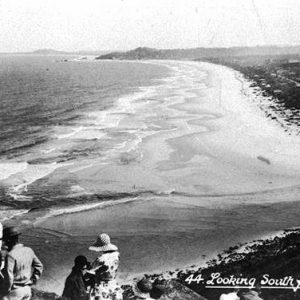 From Tallebudgera to the Tweed: an early history of the southern Gold Coast. Gold Coast: Gold Coast City Council, 1996.